Pace varies depending on the riders who come out, typically an 18-22 mph steady pace ride that leaves Bikes Beans and Bordeaux Cafe (3022 Corrine Dr. Orlando) at 7:30 a.m.. Minimum miles: 45, with a SAG stop along the way. 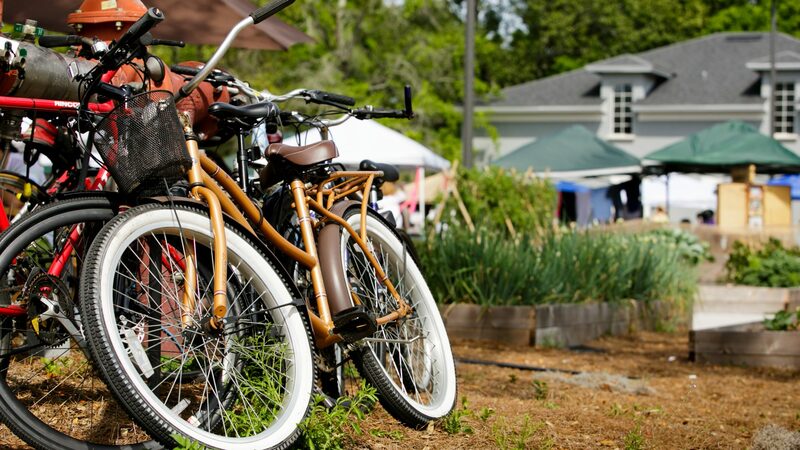 Orlando's most original farmers market, the Audubon Park Community Market is a weekly gathering of growers, ranchers, fishermen, chefs, artists, handicrafters, musicians and neighbors. This pet- and family-friendly celebration of food, friends, art, and live music takes place in the Stardust parking lot at 1842 East Winter Park Road every Monday - rain or shine - from 5 to 9 p.m.
Come run, walk or run/walk every Monday at 6:30 p.m. at Bikes Beans and Bordeaux Cafe. Everyone all starts together and finish together! You'll also have Coach Seth from Black Matter Training LLC to guide you through some warm-up and form tips. 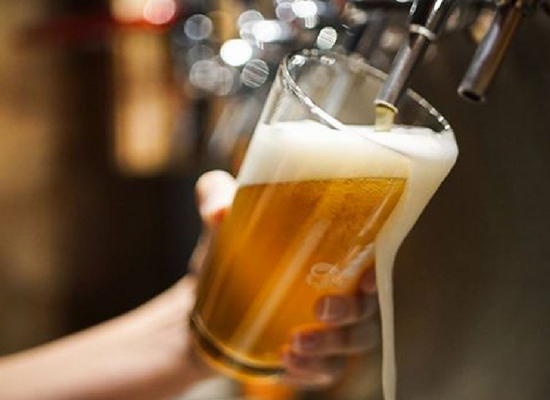 Hang out at B3 Cafe afterwards for conversation, some fun prizes and, of course, beer. What run would be complete with beer afterwards? Enjoy trivia at Orlando's best spot for team trivia, Bikes Beans and Bordeaux Cafe (3022 Corrine Dr. Orlando). Play by your smartypants self or bring your friends. The game is divided into three rounds of ten questions each. Questions can be about anything under the sun: movies, music, TV, science, sports, geography, word jumbles, identify the pictures, spelling questions and tons more. So come on in and put all of your useless knowledge to good use. Orlando Permaculture is an action focused group brought together by a shared ethics of earth care, people care, and fair share. Learn how to grow and eat locally grown food and develop better ways to work and play at their monthly meetings, held at Audubon Covenant Church (3219 Chelsea St. Orlando 32803). Every Wednesday enjoy $2 off of every glass of wine, all night, at beautiful Redlight Redlight (2810 Corrine Dr. Orlando). Better known for their craft beer, this nano brewery is also serious about their wine. Don't miss a great night to try out something new. And if the parking is a little tight when you visit, check out the parking behind the plaza, across the street at the women's clinic (after 6 p.m.) or around the corner on East Winter Park Rd. Every second Wednesday of the month join Orlando Permaculture at Audubon Covenant Church (3219 Chelsea St. Orlando, 32803) for their cooking classes. Stop by Leu Gardens (1920 North Forest Ave. Orlando 32803) in the Audubon Park Garden District on Wednesdays from 3 to 5 p.m. and meet a Master Gardener from the UF/IFAS Orange County Extension to help you with turf problems, soil testing or identify a plant. Discover the sounds of Orlando’s musicians, grab some snacks and kick back most Saturdays, 2 to 5 p.m. at East End Market (3201 Corrine Dr. Orlando), for Saturday Serenades. These concerts feature independent, bluegrass and folk and musicians in East End Market's beautiful garden courtyard. Not to be missed. Every Saturday from 4:30 to 5:10 p.m., Warrior One Yoga (2822 Corrine Dr. Orlando) offers a free community yoga class. All they ask is that you sign up online first (classes fill up) and bring one food drive item. Please observe all parking signs. Additional parking behind the plaza and in parallel spaces along East Winter Park Road. First Thursday of Every Month, BOGO FREE On Any Of their New Specialty Cocktails with an Instagram Post. Park Ave CDs (2916 Corrine Dr. Orlando) has both instore performances and listening parties throughout the year. Follow them on Facebook for the latest news.